February 9th is “Safer Internet Day”. 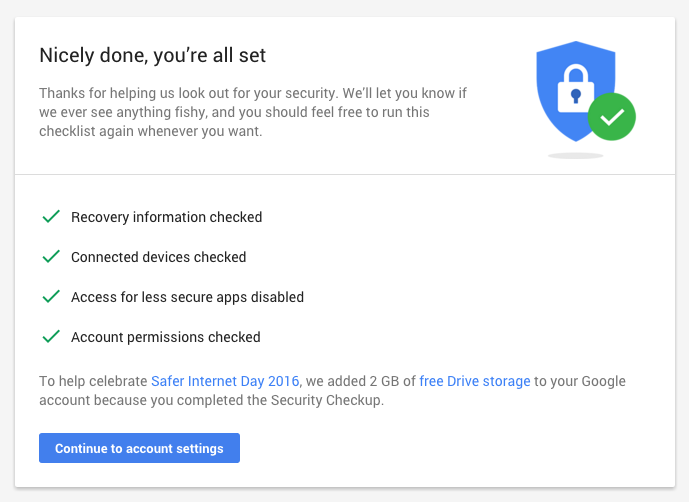 To help celebrate, Google will add 2 GB of free Drive storage to your Google account if you complete their Security Checkup. 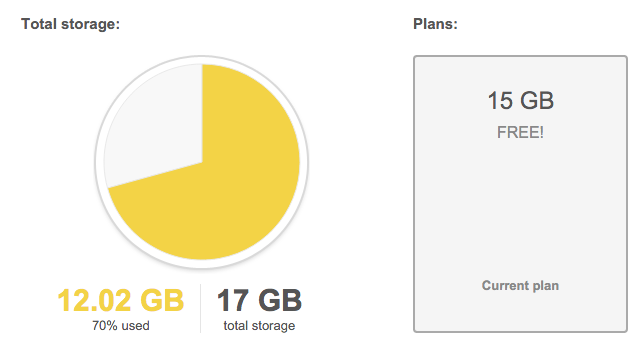 By default, free users get 15 GB to share across Gmail, Google Drive, and Google Photos. The Security Checkup tool is a handy feature that Google users should be running anyway. It makes sure you have covered the following bases: update recovery options in case you forget your password, verify which devices are currently connected to your account, manage access for less secure apps, and verify permissions with connected 3rd party apps and websites. You should instantly see an increase in your Google storage limit. Two birds, one stone!